Making a thing is easy. Making it over and over again pushes you to not just tweak the design, but to tweak the process as well. In this case, I wanted to spend some time this winter working on the production design for my five string banjos. I had a few jigs to modify, some new templates to make, a new dedicated router setup and I needed some practice on the lathe. 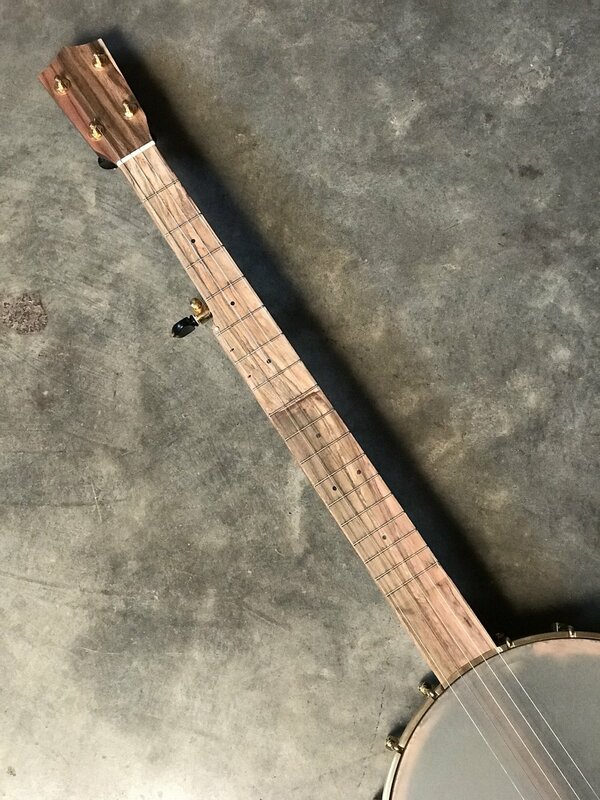 I was going to make a curly walnut banjo anyway, so when an order came in we all won out. The lightly curly walnut for this one comes from urban salvage from Goby Walnut in Portland. The pistachio is from California orchards. 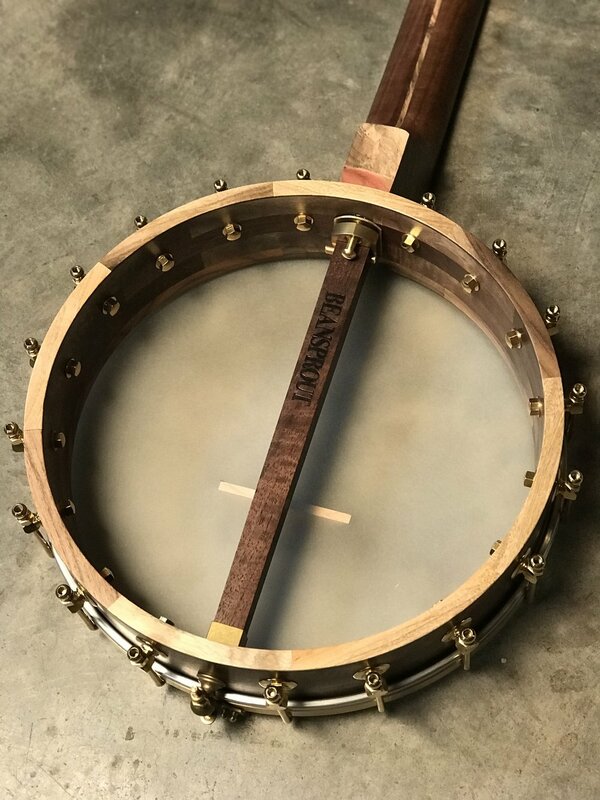 It is lightweight but solid, sweet and rich with nice volume, suitable for many old time banjo jobs. 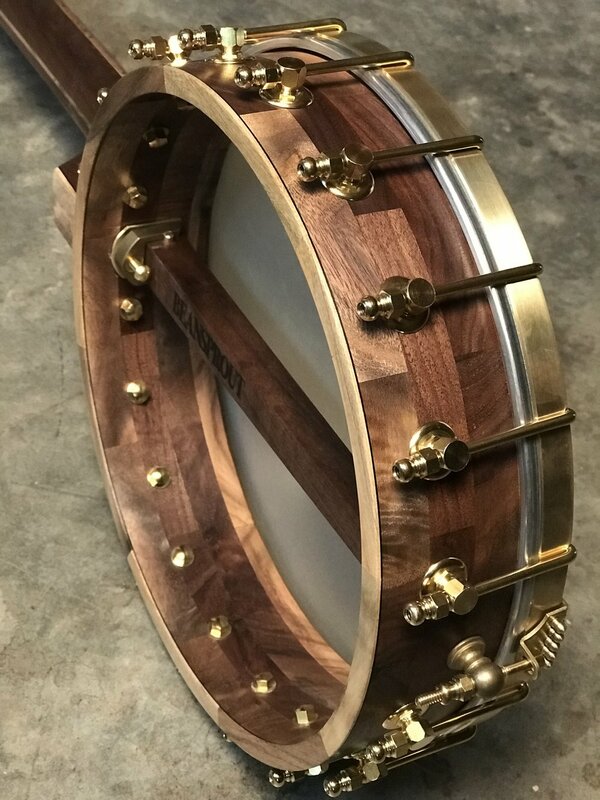 The brass hardware comes from Brooks Masten in Portland. For folks wondering about walnut vs maple in banjos, check out the second video below.